In my recent post on the Lincoln assassination, and the common dismissal of John Wilkes Booth as a “madman” whose actions are both inscrutable and unconnected to the Confederate cause, commenter Corkingiron asked about how Booth’s actions were received at the time, in the South. It’s a great question; the American Experience documentary I cited in reply suggests that condemnation of Booth’s act was immediate and universal. We’ve seen before how open dissension was little tolerated in Confederate Texas; it’s difficult to know what the private thoughts of many Texans were. But sentiments like Kate Stone’s were openly and floridly expressed. It must be remembered that, at the time, Texas was mostly still in Confederate hands. 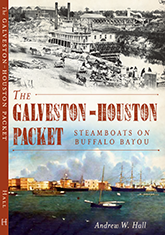 Galveston, before the war the largest city in the state, was blockaded but would not capitulate until mid-June. Houston had taken on the appearance of an armed camp. That spring the local press was full of articles extolling the patriotic virtues of the South, the imminent (and inevitable) collapse of the Union war effort, and crack-brained plots to win the war. How much of this passionate-but-deeply-unrealistic optimism was sincere, based on Texas’ isolation from the main theaters of war east of the Mississippi, and how much was simply intended to keep up the spirits of the population, is hard to say. On the 4th of March Abraham Lincoln made his inaugural address. He reviewed briefly the condition of the country and congratulated his people upon a “speedy termination of the rebellion.” Not content with the modest rejoicing that would have characterized a magnanimous mind, with the self-complacency of a narrow spirit he arrogated to himself the language of scripture. “Woe to a nation by reason of its sins! for it must needs be that offences come; but woe to that man by whom the offence cometh!” Our country was bleeding and suffering from the war that his party waged against it, and with deliberate malice he gloated over our sufferings and visited them upon our own heads. We were the “wicked men” and he, forsooth, was the instrument designed by Providence for our punishment. On the 14th of April Abraham Lincoln was weltering in his life blood, and the words sic semper tyrannis were ringing his death knell. In the plenitude of his power and arrogance he was struck down, and his soul ushered into eternity, with innumerable crimes and sins to answer for. At the hands of an injured patriot he received his death stroke, and the very words that he had used in the exultation of his inauguration, were prophetic of his own fate. “But woe to the man by whom the offence cometh!” Out of his own mouth he was condemned. He had arrogated one of the attributes of Divinity. He had seized the sword to execute what he presumptuously imagined to be his mission, and had spread desolation and destruction among an unoffending people. In the height of his fame and success, retributive justice demanded an account of his stewardship and took his soul to the bar of the Most High. We accept this result as one of the inscrutable decrees of Providence. We accept it, because we know that the Creator works out His problems for wise, and great, and good purposes. We do not propose to speculate upon the probable results of Lincoln’s death. No one can estimate the influence of a single man upon the destinies of a nation, and no one can say whether Lincoln’s death be for the weal or woe of our nation. Providence takes care of those things, and to his will we submit. We would not like to think that our government was privy to the deed, or approved it. A so-called assassination is regarded with horror by all enlightened people, and our government must be too high-toned and dignified to descend to such means of ridding itself of its enemies. Nevertheless we would have no obloquy cast upon the name of the man who committed the deed. Inspired by patriotic impulse, and believing that he was ridding the world of a monster, his name will be inscribed on the roll of true-hearted patriots, along with Brutus and Charlotte Corday. Caesar was struck down by the hand of an assassin whose name glows along the page of history with even more brightness than that of the man he laid low. It was the principle on which he acted that has caused history to point out Brutus as the model of a patriot and the same principle will cause the name of J. Wilkes Booth to illustrate a high type of patriotism in coming years. We do not believe that one man is necessary to the existence of a nation. Another may rise to fill Lincoln’s place; but, nevertheless, the work has been done, and its fruits will be produced in due season. Not long since we were speculating upon the probable results of Lincoln’s re-election and expressed the belief that before the expiration of his term he would assume despotic power, unless events intervened that were “impenetrable to human prescience.” We again say, that the results of his death are impenetrable to human foresight. We must wait ans see. It does look to us, however, as if an avenging Nemesis had brought swift and inevitable retribution upon a man stained with so many bloody crimes. He had not only gloated over our suffering, but was preparing new measures of vengeance to mete out to us. In the very midst of his headlong career, he was arrested by the imperious hand of fate. He sowed the wind and reaped the whirlwind. The quote from Lincoln’s second inaugural address (“Woe to a nation by reason of its sins. . . .”), taken from Matthew 18:7, is accurate, but the speech’s tone is violently misrepresented. “With deliberate malice he gloated over our sufferings,” really? “He had arrogated one of the attributes of Divinity.” Are you kidding me? This is, after all, the same speech in which Lincoln famously closed, “With malice toward none, with charity for all, with firmness in the right as God gives us to see the right, let us strive on to finish the work we are in, to bind up the nation’s wounds.” This is misrepresentation on a scale that would embarrass Andrew Breitbart. Lincoln and Seward more than all others had placed themselves (as they doubtless thought) out of harm’s way. They had incited all the worst passions of the people; for many years they had stirred the popular mind of the North against the South; they enjendered [sic.] and fostered a spirit of deadly hate of one section towards the other, more intense than that of Carthage against Rome, and finally seized the reins of government and plunged the nation into civil war more horrid and cruel than any that has hitherto marred the pages of ancient or modern history. They have eclipsed the tyranny of a Caligula, Herod or Zero [sic., Nero]; They have without shame or remorse trampled upon the laws and constitution of their own section and set at defiance every principle of right, justice and equity, human or divine; they subsidized and prostituted the Christian religion to their infamous scheme of subjugating us who are as much entitled to life, liberty and free government as themselves, compelling the expounders of the Divine oracles to pray publicly for Abe Lincoln and his fell [foul?] purposes of subjugation, murder, arson and robbery of the free and enlightened people of these Confederate States. They have made very many women widows, and children fatherless. They have reduced our once fruitful and happy land, the abode of high civilization and a refined intelligence, to a heaping ruins and pyramids of chimneys, leaving only the sky and the land in their wake; they have driven thousands of our helpless women and children from their homes and domicile in a country that they have desolated with fire and sword, the starve and perish by the inclemencies of the season. They have transported our men and women to their northern frontier, and incarcerated them in loathsome prisons, loaded them with chains, and assassinated many of them in prison for pretended offenses, causing many more to die of want; they have daily insulted them with the epithet of traitors, and refused to exchange them according to the usages of civilized nations, and all this for doing their duty to their country as soldiers. They have subsidized the mercenary hordes of Europe and America, and armed out own slaves for our destruction, and led them into our fair land for the purpose of committing the worst atrocities such as this page would blush to contain – and for four long years they have enacted this human tragedy, with a fiendish satisfaction that would have made a Herod or Nero blush for shame. The wonder is that some avenging hand did not overtake these enemies of the human race ere this! But at last that terrible retribution, which is sometimes slow but always certain, has fallen upon the doubly guilty in the form of the assassin’s hand, and these enemies of human liberty are hurled from a life they had made ignominious to one unknown to us. Their successors can never bring the concentrated powers against us that those tyrants have; and methinks I see, in the distant horizon of the North, the dark and sombre cloud, which has lingered over us for four long gloomy years, beginning to break, and the Star of Peace, darting a few feeble rays, that tells us of the approaching halo, that may soon spread joy and gladness over our once happy but now afflicted country. The tyrants that afflicted us are gone; history will reward them with a place amongst the enemies of the human race, and to those that wielded the implements of death against these human monstrosities, will be awarded a place amongst the chivalric and heroic benefactors of mankind – to rank not as assassins, or murderers, but benefactors of mankind. Lincoln may have been dead, but irony was very much alive; immediately following this essay was a two-column notice, published by the headquarters of General Magruder, listing the names and descriptions of 69 Confederate deserters and offering a $30 bounty for the capture of each. 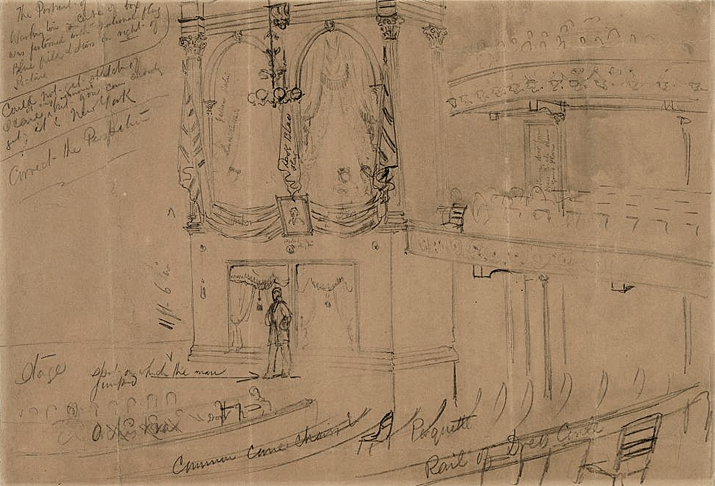 Image: Interior of Ford’s Theater, Washington, D.C., by A. R. Waud, April 1865. Waud’s annotations, intended for engravers, include descriptions of colors, the measurement of 11 feet 6 inches from the rail of the presidential box to the stage, and, “spot on which the man jumped.” Library of Congress. Lincoln’s guard at the theater: when the assassination took place; the guard was absent, yes? Was the guard a uniformed soldier, a civil servant, or what? Now it would not surprise me if Lincoln told the guard to take a break, but I never heard that excuse offered. Nor have I ever read the guard was punished for his absence. Was he? Who was he, what happened to him? Presumably he was prior vetted, so he clearly was not in on the deadly deed? Did this result in better presidential security at theaters, such as two guards? When President Taft visited Wilmington, N.C., in the early 1900’s, all the published pictures I’ve seen him in, he’s in a big open car. However we have a picture of him passing below our 11 South Third St., Wilmington porch in a horse drawn phaeton wagon with the top down, two Marines (looking sharp!) either side, looking out (but not up). Apparently this was pre-Secret Service, so Lincoln’s assassination did not cause a switch from military to Secret Service. Wonder if some newspaper interviewed Lincoln’s absent guard in his old age: did he have regrets, etc? Thanks Andy – a great deal of food for thought here. For the nonce, methinks the purple prose o’erwhelms. Apart from the explicit endorsement of assassination, the rhetoric and words in these pieces could be lifted straight from any Southron Heritage website today. It’s a matter of continued wonderment to me that even the verbiage is almost unchanged after a century and a half. What can one do in the face of such — what can we even call it? non-comprehension? There’s a well-known lobbyist in DC who, as leader of his SCV camp, is alleged to have held secret meetings in the back room of the Wok-n-Roll Restaurant at 604 H Street NW — not because he and his buddies like Asian food, but because of its connection to the Civil War — and not in a good way. Now that’s effed up. Scroll down to see the marker erected in the 21st Century where Booth was killed. I just wanted to express my gratitude to you for your blog and your efforts to present the events and causes of the War with truth and clarity. 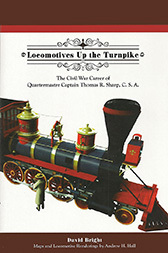 My interest in the War has been renewed and reinvigorated by the 150th anniversary, but I am growing increasingly frustrated and frightened by the lack of interest and ignorance of many Americans which in turn allows the revisionists to spread their falsehoods and twisted interpretations of historical facts. I fear a future in which the true heroism, sacrifice, and tragedy of the War is either forgotten or corrupted beyond recognition. It pains me to know that there are still people in this country who teach others to disrespect such great heroes as Grant, Sherman, and Lincoln. Such distortions of the truth disrespect all the people on both sides of the conflict, and it makes me very sad. It is the efforts of scholars and enthusiasts such as yourself which will prevent such an outcome, so please keep up the good work! I would love to contribute to the effort to renew interest in the War and its participants and to educate people about its true causes and outcomes. Do you have any advice for others who would like to help in this effort? Sadie, thanks very much. I appreciate your thoughts. I’m actually very optimistic about the CW Sesquicentennial. It’s not going to be a smooth ride, and we’ve already seen contentious disputes over what should be commemorated, and how. That’s not gonna change, but it does get the discussion going among the general public, and that in turn will lead (I think) to a broader understanding of the conflict generally. And that is the real success of the sesquicentennial. Thank you for your response, Andy. I’m doing a lot of reading right now, every well-reviewed book on the War I can get my hands on so that I can speak and write of the War and its participants with a solid factual foundation. I hope that you are right about the sesquicentennial. 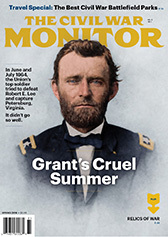 Perhaps I am too much of a pessimist, but when I see the blatant falsehoods perpetuated against figures like Grant (see some of the comments on the Salon.com article by Joan Waugh on May 1, linked to by “Of Battlefields and Bibliophiles) I am both enraged and disheartened. I am not sure how those of us interested in respecting the truth can counter the willful ignorance of those determined to besmirch the memories of many who fought for the Union cause. Michael, good to hear from you. Your blog is missed. Yes, I was aware of this speech. It’s perhaps the best single example of how Lincoln’s views changed over time, and suggests how he had to struggle to balance his own, personal views with what was politically practical and doable, that served the national interest overall. You often hear the Southron crowd say, “but Lincoln was a racist!,” and cite this or that quotation from him, in isolation. It’s really a childish approach to a complex and evolving process that changed throughout his life, and was shaped as much by events around him, as he shaped national events himself. Hello, my name is JJ Mercer and I am a senior at Huntington High school in West Virginia. I’m doing a research paper on John Wilkes Booth and his crime against President Lincoln and was wondering if I could ask a couple questions about Booth. If you get a chance could you answer these? How would Booth’s name be remembered differently if he was able to assassinate the President while the war was still going on? What could have happened if Booth would have kidnapped instead of kill Lincoln? Was Booth expressing patriotism by killing Lincoln for the South, or was he out of his rights? How would Booth react if he saw how the country was today? Was Booth’s murder more against the individual of Lincoln or the Union? Hello, JJ. Thanks for your questions. 1 How would Booth’s name be remembered differently if he was able to assassinate the President while the war was still going on? I don’t think he would have been remembered very differently than he is now. The assassination, coming as it did just a few days after the surrender of the Army of Northern Virginia at Appomattox, added a particular poignancy to Lincoln’s death, but I don’t think he would be seen very differently. 2. What could have happened if Booth would have kidnapped instead of kill Lincoln? That is an interesting “what if,” but it’s hard for me to see how that would have happened. The conspirators that Booth gathered around him were all marginal people, misfits and not terribly competent. Lewis Paine follow through on his attempt to kill Secretary of State Seward, but the man designated to kill Vice President Johnson backed out at the last minute. If they had managed to capture Lincoln alive, my guess is that they would have been very quickly tracked down and captured, even more quickly than they were after the assassination. 3. Was Booth expressing patriotism by killing Lincoln for the South, or was he out of his rights? Booth was a Confederate sympathizer, but during four years of conflict he never quite managed to get himself into a CS uniform. I think as the war wound down and the Confederacy was collapsing, Booth was increasingly fixated on need to do something, anything, to change that outcome. It’s not surprising that as a famous actor, and one well-versed in Shakespearean drama, he saw himself as Brutus, who would save the Republic from what he saw as a dictator. He was an unhinged narcissist who was apparently genuinely shocked to learn from newspapers after the assassination that he was not being hailed widely as a great hero. 4. How would Booth react if he saw how the country was today? Booth would be shocked and astonished at many things about the United States today, as anyone from the 1860s would be. 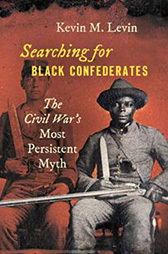 By most accounts, Booth’s harebrained kidnapping plot only galvanized into an assassination after the news of the surrender at Appomattox, when he heard Lincoln announce his support for voting rights for African-American veterans who had served in the war. I think it is fair to say that Booth would be stunned and enraged at the social and cultural diversity in all aspects of American life today, as troubled and fraught as they are. 5. Was Booth’s murder more against the individual of Lincoln or the Union? Booth fixated on Lincoln as the root of his (and the South’s) troubles, and failed to recognize that Lincoln was simply the head of a much larger government and nation. In the same way that he saw himself alone as the savior of the South by killing Lincoln, he assumed that the president was the sole person responsible for the nation’s conduct of the war, and by removing Lincoln he might reverse that. He was wrong.